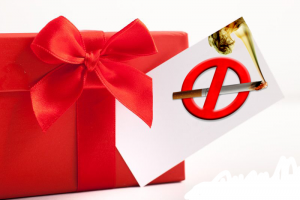 Quit smoking as a gift to yourself! If you’ve been a smoker for a long while and have tried to quit numerous times, you know that it’s not easy and that there’s no one way to quit smoking that works for everyone. In your heart you know that to quit, you have to be ready both mentally and emotionally. You have to want to quit smoking for yourself, not because you feel pressure to quit from family or friends. Most people will try and quit many times before finally being able to quit. If you find yourself struggling to quit smoking perhaps it’s time to try low level laser therapy (LLLT). Low level laser therapy can be used instead of needles for acupuncture and is ten times more effective than patches, gum or hypnotherapy according to a couple of recent trials in Scotland. We are all about helping people empower themselves to live a healthier, happier life and are truly here to help you succeed in ending your addiction to nicotine. Laser therapy is safe, easy, affordable, and effective. Why not give us a call today! For more information, contact 403-301-3750.